If you were lucky enough to be a kid in the 80s or 90s, you got to witness the golden age of 8-bit pixellated video games. Staring at those little squares on the screen could eat up entire days as long as Mom and Dad kept off of our backs. 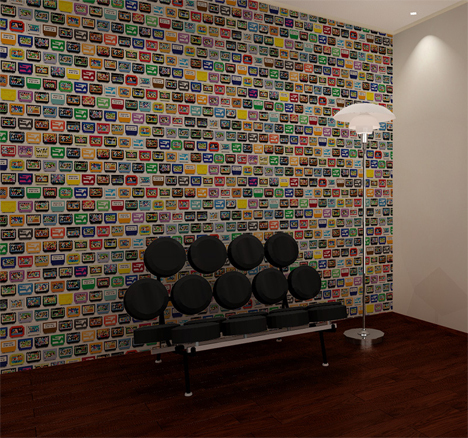 The Pixel Cartridge wallpaper can bring all of those early gaming memories flooding back. 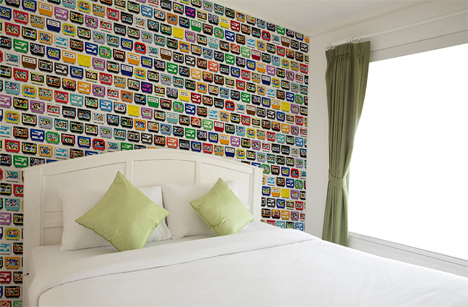 Created by designer Masaaki Enami of Kyoto-based design team Edit Mode, the wall covering features adorable piexellated game cartridges all laid out in neat rows. For people who had shelves full of these cartridges as kids, the design is kind of a comforting sight. From close-up, the cartridges look almost recognizable. 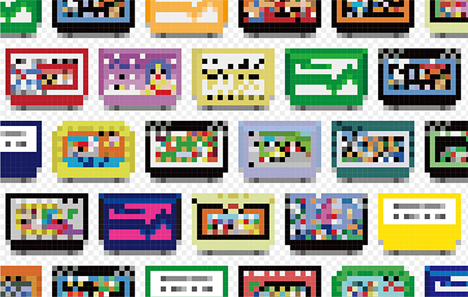 The designer hints that the individual designs are modeled on actual game cartridges and asks how many of them you can identify. You’ll have to be pretty committed to the design in order to deck your house out in the Pixel Cartridge Wallpaper, though – it comes at around $50 per ten square foot section. See more in Gaming & Geek or under Gadgets. October, 2014.